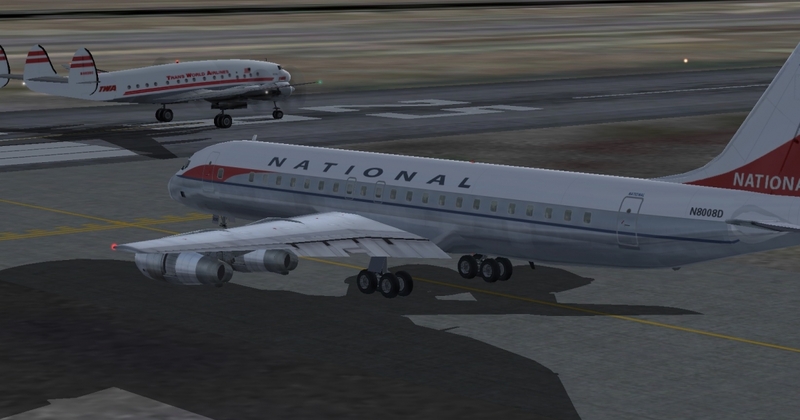 Here we are landing in New Orleans, two minutes ahead of schedule, in our DC8-31. In New Orleans, we switch to a -51 series, N8008D. 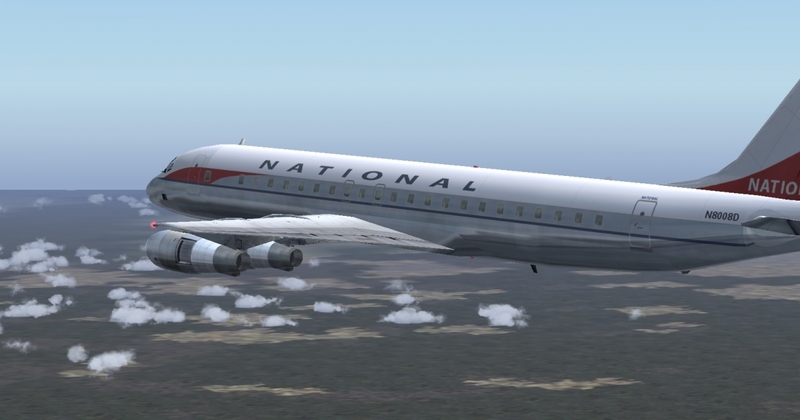 This airplane was the very first DC8 ever flown. 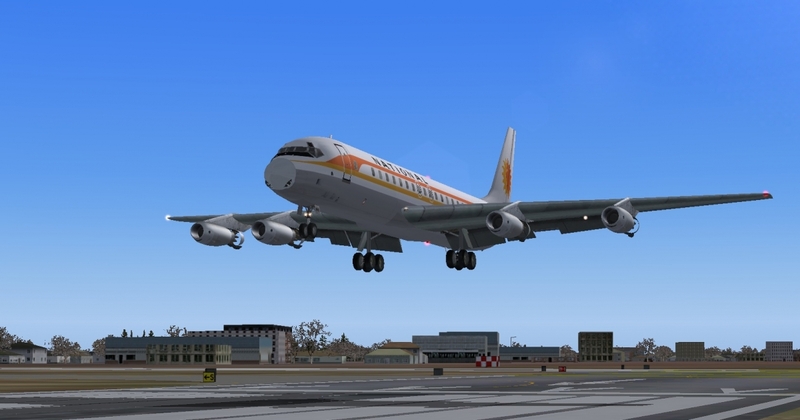 In 1960 it was upgraded to a DC8-51, the very first -50 series. This included new engines (JT3D-1), higher gross weight and various aerodynamic improvements. Here we see N8008D enroute from MSY to Houston. Right here it was all looking really good. 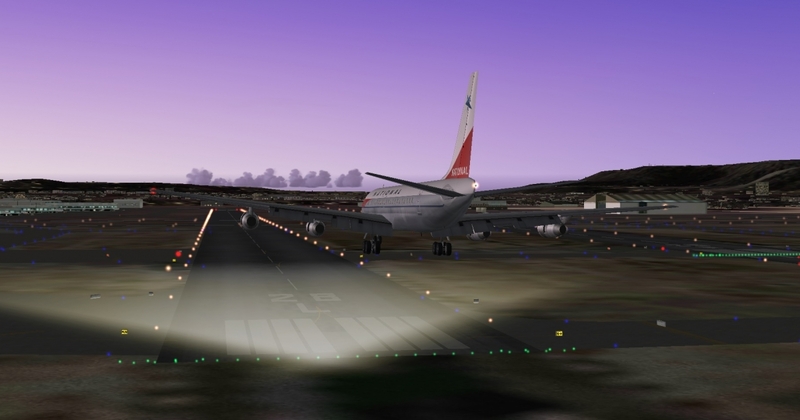 Vref +5, on glideslope. What could go wrong? Pulled the power off, started to sink more than I liked so I pitched up a little. Too much! Instead of slowing the descent rate, I stopped it. Work it back down, closer, closer (FE: "Here comes the end! "), plant it on, spoilers, max reverse, brakes, barely made the last turnoff. 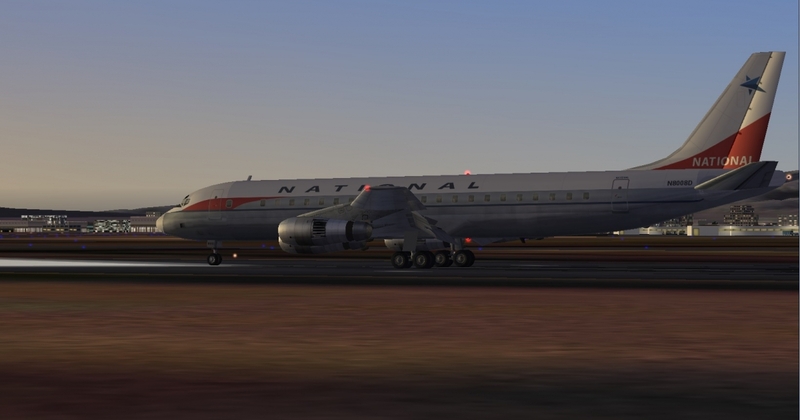 Looks like I need more DC8 time!